Definite rules to label origin of food will be set in the second half of the next year. Marian Jurečka, the minister of agriculture, proposed a mark with Czech flag that will define Czech origin better. Producers will be free to decide whether they mark their product with the words of “česká potravina” (Czech food). Provision of such information - worded “česká potravina” (Czech food) or “vyrobeno v České republice” (made in the Czech Republic) – to customers can be used only if the conditions of implementing legislation are complied with. Particularly, these are technical rules concerning definition of the minimum percentage proportion of input raw materials. The decree on food labelling will, in case of the definition of Czech food, deal with the rules for graphic or picture indication of given mark. Have your products under control. Compare your products with competition and gain hard data for price and quality policies. This should enable consumers to get clear information whether a food is from or was produced in the Czech Republic. New rules for emphasizing the origin of Czech food are definitely more beneficial for customers than existing rules for publishing the “list of countries” near the store entrance. 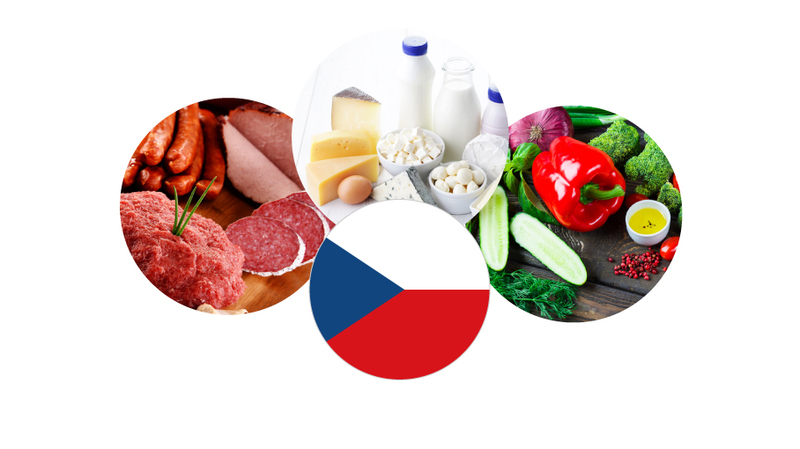 Many experts and professionals agree with the new modification of the methods for labelling Czech food. You do not know how to deal with labelling your products? Contact us and get information that is important for your business.